Quality rethink of the classic Horace Kephart Outdoor knife. 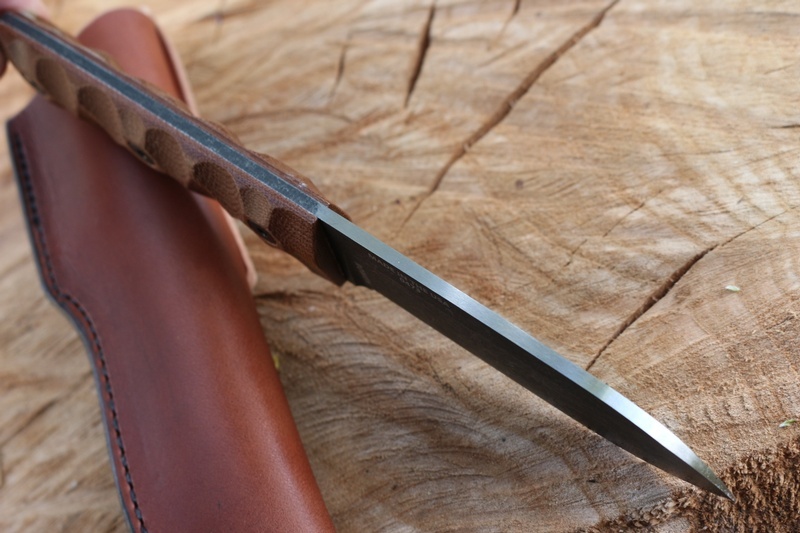 Made with the excellent Rowen 1095 High carbon steel, the spear point blade gives a tough and practical tool for the Backwoods. 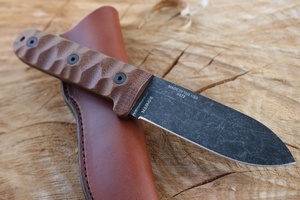 Solid micarta slabs (sculpted), full broad tang with 90deg spine adds to the overall strength and versitility. 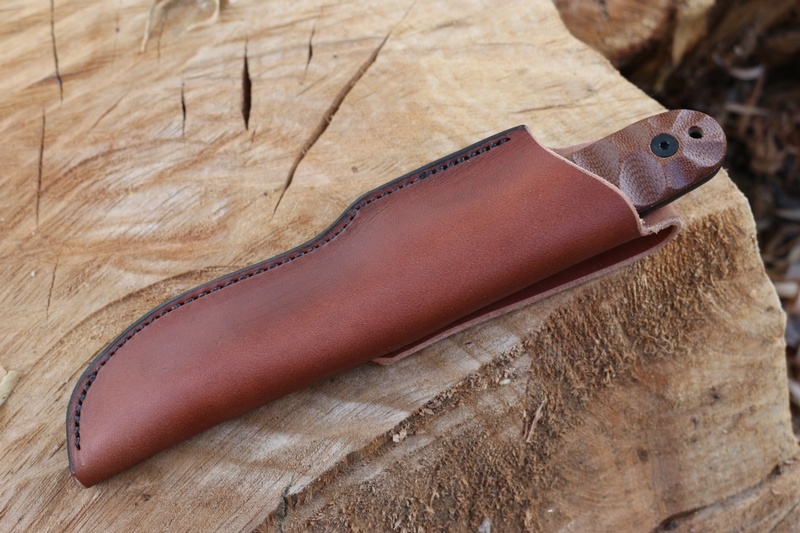 A great general purpose outdoor, Bushcraft and camp knife. When it comes to wilderness chores, sometimes simple and straightforward is the best approach. The ESEE Camp-Lore PR4 is Patrick Rollins’ take on Horace Kephart's classic design. The original prototype was made by James Gibson and tested extensively by Patrick during survival classes, off-trail backpacking, hiking and camping. 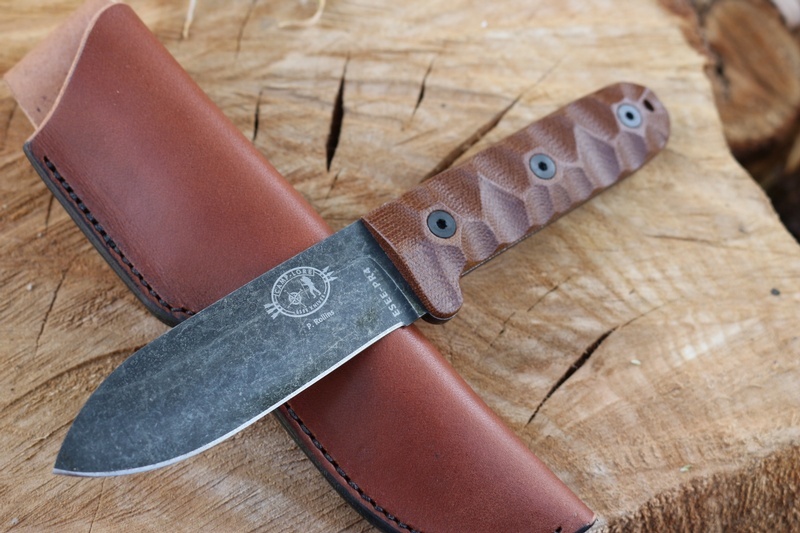 The Rowen built production PR4 features a 4" blade with a 4.75" handle, 1/8" thick 1095 HC steel blade, 90-degree spine for striking a Ferro rod and a leather pouch sheath. Purchase through PayPal by using the "Add To Cart" button above or use the form below to order the ESEE PR4 . Feel free to contact us if you have any questions about the ESEE PR4 .